Is there a no-hassle way to sell my book on my website, Word Press blog, Facebook, or Pinterest page while keeping a larger share of the profits than I’d get on a third party site? Being able to complete sales of books or ebook downloads on your author pages can help you avoid losing sales when potential buyers click away when they must go to a third party site to complete the transaction. 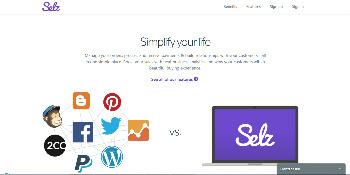 Selz automates both payment processing and delivery of your ebook downloads. Selz works equally well on smartphones, tablets and desktops. Check it out and share what you think in a comment below.